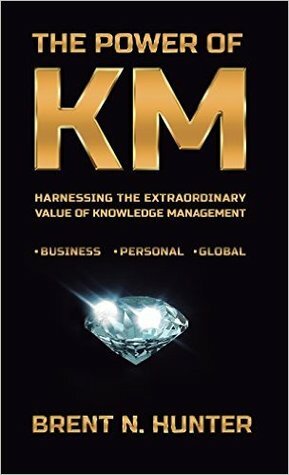 The Power of KM provides a clear and concise introduction to Knowledge Management (KM). Brent Hunter explains the basics of Knowledge Management and provides a step-by-step, comprehensive, integrated, holistic and universal KM strategy that can be utilized in any organization. Hunter continues by explaining how Knowledge Management can be used to enrich and optimize our peThe Power of KM provides a clear and concise introduction to Knowledge Management (KM). Brent Hunter explains the basics of Knowledge Management and provides a step-by-step, comprehensive, integrated, holistic and universal KM strategy that can be utilized in any organization. Hunter continues by explaining how Knowledge Management can be used to enrich and optimize our personal lives and at all levels of society. By the time you finish this book, you will learn that knowledge is power and that KM is extraordinarily valuable--and even has ability to change the world. Knowledge Management is very important for being successful. I felt the necessity of manageing knowledge in my organization but could not do myself. Finally I got the book "The Power of KM: Harnessing the Extraordinary Value of Knowledge Management " In the book, the author, Brent Hunter, simply describes the basics of Knowledge Management and provides a step-by-step, comprehensive, integrated, holistic and universal KM strategy. Not much information. Repeats itself toooooo often.